I'm lucky enough to have several designer friends; friends with whom I can sit down and chat about the ins and outs of business, our design processes, what makes us tick, and all sorts of other non - design related topics. Katya Frankel is one such friend. We've met up for the day a few times now, and I always enjoy those get togethers. Katya has a unique design style - timeless pieces with distinctive lines which result in modern classics - and when she first told me that she was putting together a book of knits for boys, I knew it would be a great book. And it is. Boys' Knits is now touring blogland, and for my stop on the tour, I thought it would be interesting to share some of that insight about her work, and so I asked her a few questions. Without much further ado, here is Katya in her own words! Almost every time I start at the underarm, somewhere in the early rounds of the armhole shaping to be precise and then figure out the yoke construction and shoulders. Usually it's the yoke construction and the the widest point on the chest and arms are the ones setting the final look of a sweater. They always have to come together before I venture off with any finishing details. The actual writing was one of the biggest challenges for me, I haven't written anything of size in a long long time and was really worried whether I could manage it. In fact, originally the book was meant to be a pattern-only book. But as I progressed through the patterns, it became quite obvious that there had to be a good how-to section included, to cover sizing/re-sizing issues and finishing techniques at the very least. Organising the patterns by their styles and techniques helped a lot when I needed to decide what else should be highlighted in those how-to paragraphs. 3) How did the experience of working with a publisher go for you? Cooperative Press bridges a gap between indie publishing and mainstream publishers, and it's a new and fascinating project. I'd love to hear more about how the project was managed, compared to the roles a publisher may traditionally take. I really enjoyed the creative freedom I had with the book. With regards to putting a collection together it felt much like self-publishing - I was in charge of choosing the designs to be included, yarns, techniques. I was pretty much given a license to do as I pleased with anything relating to designs while Cooperative Press handled editing, tech editing, layout, organising promotion of it, etc. For a person who needs that creative control it is quite perfect in my opinion. I worked with both the editor and the tech editor closely through the editing processes which was also fab, and the fact that the book conveyed my vision very well speaks for itself! 4) Where does your love of timeless, textured knits come from?! Good question, I suppose the timeless part stems from my own attitude towards clothes. I wouldn't be the first person to say that if I knit something for myself then I want it to last. And not just physically but something that can stay on-trend for a few years and put together with different outfits without looking odd. I love knits that never age, classic, functional and comfortable above all. But the texture is just something that I love working on at the moment, it's fun to knit. I go through periods of being completely taken by a particular technique, about 3 years ago, for example, it was all about cables on stocking stitch background. I tend to wear them out obsessively until it feels that I worked every possible combination of whatever technique I'm engrossed by at the time. Then move on to the next one! 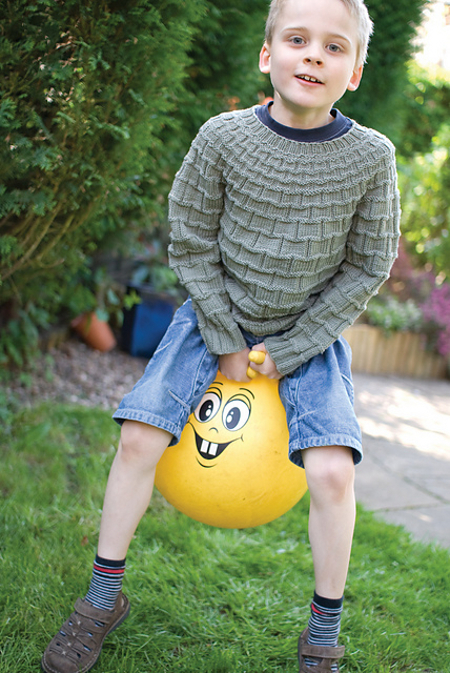 5) Which is your favourite garment in Boys Knits, and why? Most of my favourites are to do with either the satisfaction I got from the way stitch patterns clicked together painlessly or those bordering on a love-hate verge because I loved the design and it took a lot of effort to make the sweater look like I wanted it to. I really like Runaround, which falls into the first category, for its pattern transition from a wider repeat to a narrower one, those concentric circles with shaping incorporated into the pattern were super pleasing to work on. 6) Where do you see your next challenge? I am in the very final stages of putting a follow up book on accessories together and once it's finished I am hoping to start working on a small collection in a completely different directions. Beginning with a story-line and exploring a particular wardrobe style. I am quite excited about it. Thank you Katya! Boys' Knits has been published through Cooperative Press, and you can either purchase directly from them for print and/or digital versions, or through Ravelry for the digital only version. More information can be found on Katya's website, which is well worth a browse, as I'm sure you'll enjoy more of her designs. I'm keen to knit someting for Aran from the book; I'll let him choose which one he'd like and I'll keep you posted with my progress. And finally... Katya has very kindly offered a PDF copy of Boys Knits for a giveaway! 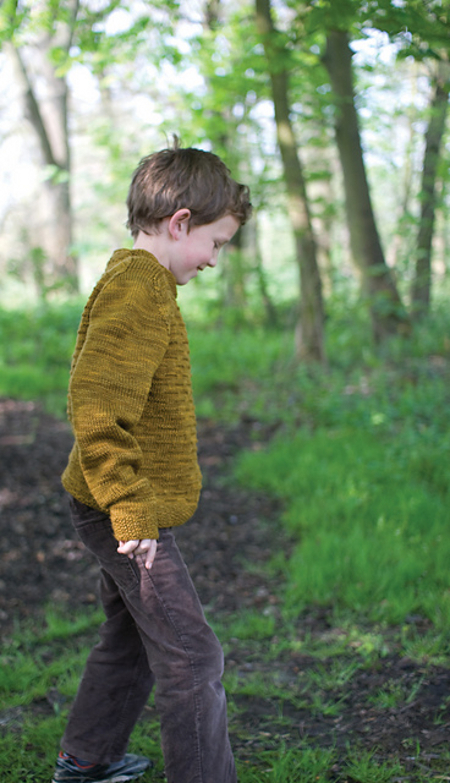 To be in with a chance of winning the eBook, simply leave a comment here telling us which of the patterns you'd like to knit for the little man in your life and why. You can pop over and browse the individual jumpers through Ravelry, then pop back here and leave your comment. I'll leave the giveaway open until the 2nd November, when a winner will be randomly selected. Good luck! All images © Katya Frankel, reproduced with kind permission. Why not check out some of the other blogs on the tour?